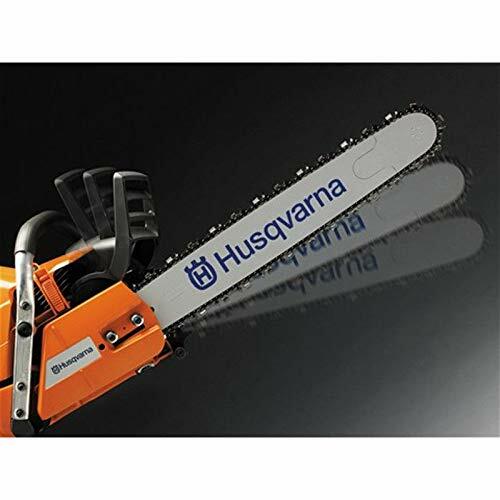 At no single time can you mention high quality and good performance chainsaws without Husqvarna popping up. These chainsaws are some of the leading power tools among seasoned loggers, professional arborists, woodworkers, and homeowners. These chainsaws referred to as Husky by those who adore them, are manufactured by a Swedish power house. Have you ever heard of these famous chainsaws and do you intend to buy one? Or are you looking to upgrade your current chainsaw? If yes, then I can confirm to you that you are reading the right post. 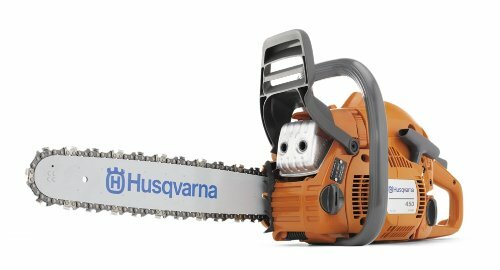 We have prepared a review and buying guide consisting of 10 of the best Husqvarna chainsaws. 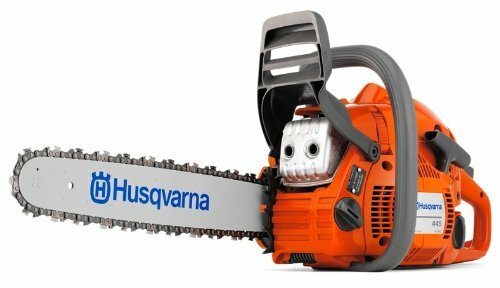 Why Should You Get Husqvarna Chainsaw? Before we indulge you into the thrilling world of Husqvarna chainsaw, let me first highlight for you some of the reasons why you might want to consider these top-rated chainsaws. The number one reason why you should get yourself a Husqvarna chainsaw is that of the exceptional performance. It is like all the models are tuned to deliver exemplary power for every chainsaw job you might think of. Depending on your needs, you can get an engine with sufficient power for that. Even the battery powered or the electric ones have power outputs that you can rely on. Everyone yearns for a product that lasts long, thereby providing their money’s worth in terms of investment. Durability is, therefore, essential, more so to a professional chainsaw operator. 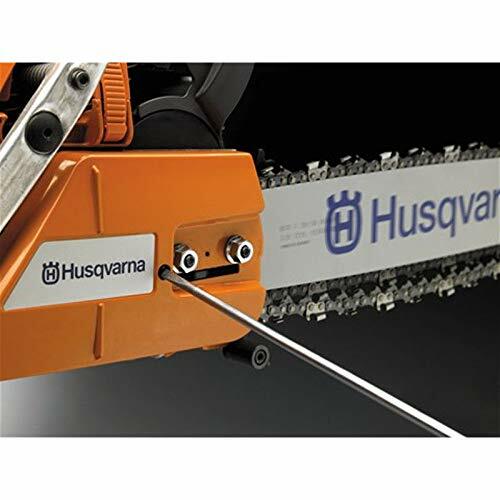 Durability is a feature that Husqvarna has instilled in their products while handling even the toughest of jobs. These chainsaws can also withstand regular usages while still delivering the same high performance we had talked of earlier. With recent elevated threats of global warming, more stringent emissions legislations are being put in place than before. There are some gas-powered chainsaws that do not live up to these regulations. Husqvarna is none of those. A system called X-Torq is incorporated in Husqvarna engines to minimize carbon emissions. So, if you are a greener earth enthusiast, you could still use your chainsaw without going against state laws or contributing to the carbon index in the atmosphere. Chainsaws are dangerous tools, no matter how powerful they are. But when you have one of the caliber of Husqvarna, then you should prioritize safety precautions. Husky have tested safety features that minimize injury risks. An inertia activated chain brake system brings a snapped chain to a halt within no time in the unlikely event of a kickback. Vibration dumpers in the handles, as well as chain catchers, are some of the other fancied safety features. A warranty is of importance to a power tool owner. Performing some of the repairs covered by a warranty can cost you plenty of money in the event that you don’t have a warranty. Husqvarna offers a warranty of 2 years on all of their products, subject to their terms. That’s not all; this warranty can be extended, depending on if you either buy their 2-stroke engine oil or if you buy their pre-mixed fuel. Buying 6 bottles of the Husqvarna oil gets your warranty extended by a year. On the other hand, a purchase of more than 96 ounces of the pre-mixed fuel gets you a 2-year warranty extension. 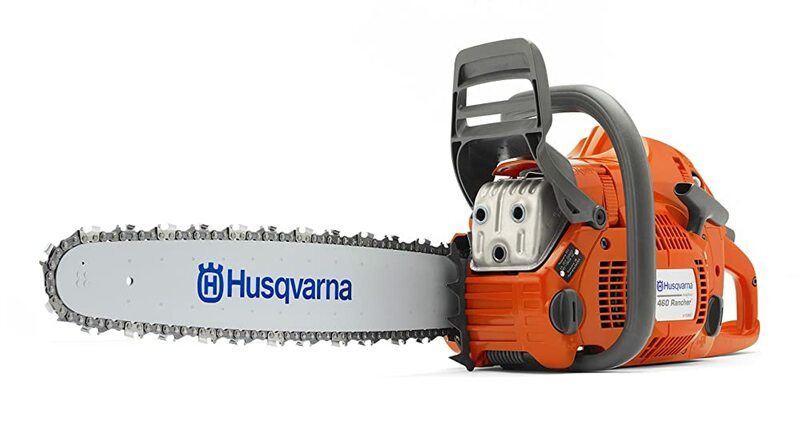 The gas-powered Husqvarna 460 Rancher chainsaw is one of the best Husqvarna chainsaws. Fitted with a 60 cc engine and a 24 inches long bar, this chainsaw is the closest to a professional chainsaw. With these features, it would be appropriate for tackling tree messes after a storm. Its 2-cycle engine produces 3.62 HP of power that slices right through softwoods and hardwoods alike. Since it is a 2-cycle engine, you have to be prepared to mix the oil-fuel ratio and have plenty of fuel on hand to quench the powerful engine. Safety features on this chainsaw include an inertia activated chain brake system and LowVib. Although Husqvarna 460 has the Air purge Smart Start for ease of starting, you still have to pull the cord first. A side mounted chain tensioner allows for quick chain tensioning. 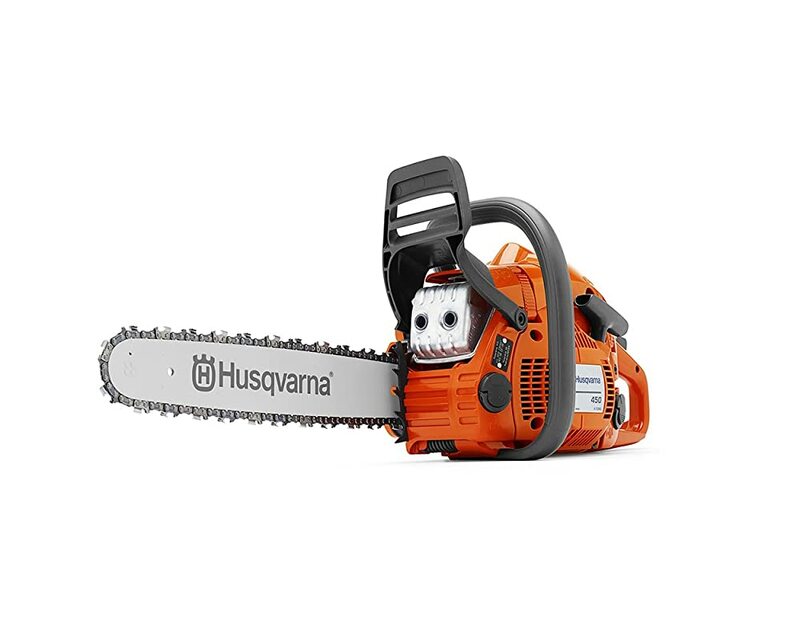 This Husqvarna 450 chainsaw is increasingly becoming a popular choice for homeowners. It is designed for occasional tree cutting tasks. One of the features on this chainsaw is the powerful 2-cycle, 50cc engine. This much engine power output is great for heavy duty occasional use. 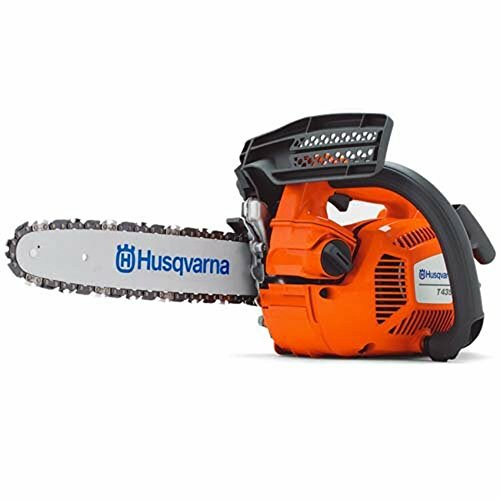 It is one of the chainsaws that if you buy alongside 3 to 32 ounces of Husqvarna pre-mixed fuel, then you get an extension on the 2-year warranty. For efficient cutting, it comes with a chain of 0.325” pitch and a gauge of 0.050”. Another great feature is the X-Torq engine technology. The system reduces fuel consumption while maximizing power output. Therefore, you use less fuel than you would have. Air purge system makes starting a lot easier than in traditional pull-cord starting. Weighing just 11.3 pounds, the Husqvarna 450E Rancher is an all rounded power tool. The chainsaw is equipped with a 20” long Duro bar for logging over 15” of tree diameters. On this bar is an extended center plate for more support to its nose sprocket and the sealed bearings. Sealing of the nose sprocket bearings means that the chainsaw does not need any greasing. An X-Torq engine technology lowers fuel consumption and emission levels. In this way, you wouldn’t be in contravention of regulations. An inertia activated chain brake and LowVib features work to ensure operator safety and comfort respectively. Smart Start mechanism on the engine makes the engine start quickly at a reduced pulling energy. For a homeowner who demands a user-friendly and well-balanced chainsaw, the Husqvarna 445 would be one of the best choices. It is lightweight in nature, is portable, and gets up and running whether it is hot or cold. This chainsaw is packed with decent features for its performance. The chainsaw is powered by a 45.7 cc, 2-cylce engine that delivers 2.8 HP of sawing power. Such an amount of power should meet your requirement around the yard. Engine life is prolonged through the use of a centrifugal air-cleaning system. It keeps large debris from the air filter. A quick release air filter pops out with ease when you need to clean it after a while. In addition, vibration levels are kept to a minimum. 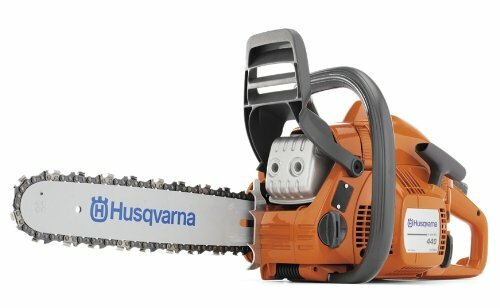 Apart from being a low emissions power tool, this Husqvarna chainsaw is more fuel efficient tool than those of the yesteryears. It is powered by a powerful 50.2 cc, 2-cycle gas engine. The engine generates enough power to drive the 18 inches long bar and chain. Considerably large tree trunks can be felled in the process. It has its limitations in terms of the tree diameters that it can handle. We think it is ideal for small or medium sized jobs like limbing and pruning. Felling of thin trees can be done too. A convenient automatic oiler reduces your workload, although there are reports of the oiler leaking, but not always. LowVib tech keeps most of the vibrations under control. In case the chain snaps, an included chain brake that’s inertia activated brings it to a stop. The Husqvarna 16” 440E is a chainsaw meant for unexpected tree-clearing work. Did a storm cause havoc in your yard last night and now branches are blocking your driveway? Well, in these scenarios, you can count on the 440E for a quick cleanup of these messes. It is a tool that provides a user the perfect balance between a professional performance and homeowner requirements. So it’s neither of the two. The 40.9 cc powering it generates provides enough torque to breeze the 16” bar and chain right through sizeable tree trunks, limbs and branches. Some users have seen due to the professional and consumer balanced capabilities. Users generally attest to the fact that it has an easier to adjust tensioner, works great, is powerful, and easy to start. This starting is however problematic to a few users. 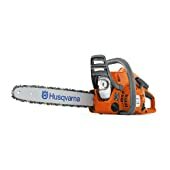 For a gardener or a homeowner who needs a lightweight Husqvarna chainsaw to carry out light trimming works, this equipment could be a viable option. It is an excellent tool for trimming small tree limbs, clearing bushes, and felling small trees for firewood. In order to accomplish all these tasks, the chainsaw is fitted with a 38cc engine capable of producing 2 HP. It’s an output that allows you to quickly complete your tasks. Another great feature is its affordability that does not water down its quality. 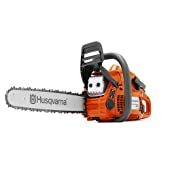 At its affordable price, this chainsaw still has some of the features found in other Husqvarna chainsaws. It has the LowVib for minimal hand fatigue, Smart Start for ease of starting as well as the centrifugal air cleaning system. The 14” bar Husqvarna 240 is more like its bigger brother, the 16” 240 Husky. But as a younger brother, it is meant for even smaller jobs. There is also a slight weight difference, with the bigger version feeling a lot heavier. Engine displacements vary slightly, with a similar power output from the two engines. Using a combined choke and engine stop function, it becomes easier for the operator to avert any potential engine flooding. LowVib system greatly reduces vibration levels. Starting the engine with air inside can take you quite a number of cord pulls. But not when you have an air purge system that works to expel this accumulated air in the fuel system and carburetor alike. Overall, this chainsaw guarantees you an assured light-duty performance. Powered by a 40 volts battery, the Husqvarna 120i is a great tool choice for light duty homeowners. More specifically, it is for those who want to avoid the hassle of a gas powered engine chainsaw. At 10.8 pounds, it is super light and comfortable too. Possible uses involve cutting branches, pruning and felling trees of about 10 inches or less in diameter. And as is the characteristic of cordless chainsaws, you can work at any time of the time without being a nuisance to the neighbors, thanks to minimized noise levels. The 40 volts battery powers the brushless electric motor, which then drives the 14” bar and chain. Increased motor efficiency makes it possible to run for a considerable amount of time on a single charge. There is also a save mode when doing very light work. Do you need a gas powered chainsaw for pruning a maximum limbs diameter of 10 inches? How about you check out this light-duty, lightweight option form Husqvarna. Some of the works it can comfortably tackle include pruning orchards and vineyards. An added capability is that you can hoist it up trees using a sturdy pole for branches higher than your reach. Some of the reviewers also note that it is a great tool for preparing your cords of firewood for heating purposes. In fact, in a couple of hours, it prepares a weeks’ worth of wood. In order to realize the benefits of the 35 cc, 12” bar chainsaw; you need to keep it well maintained. Routinely clean the air filters, keep the automatic oiler reservoir well filled, and use it for jobs it can handle. And, you can swap the bar with a 14” one for increased capabilities. Buying the best Husqvarna chainsaw does not require a lot of effort as you might have been made to believe. It doesn’t mean it’s easier either unless you have a clear understanding of what exactly you need. Here is a buying guide that would make the process even less confusing. The first step in buying the right tool is to consider what exactly is pushing you to buy the chainsaw. Do you want a professional chainsaw; a heavy-duty saw for your homecare or a semi-pro semi DIY chainsaw? By answering these questions, you get rid of a good percentage of the chainsaws you will not need. It also determines the bar length and engine displacement you will need. Here are a couple of possibilities. A chainsaw for occasional tidying up of your yard and pruning ornamental shrubs doesn’t have to be too powerful. Provided you have no intention of pruning thicker branches, then I would suggest you consider a chainsaw fitted with a 12 to 16 inches long chain bar. If you are an average sized homeowner with considerably thicker branches and the occasional needs to bring down small trees, increase the bar length. A Husqvarna with a bar length of between 16 and 18 inches does the job most of the time. For either professional loggers or DIY enthusiasts with the need for serious tree cutting, then 20” to 28” bars come in handy. These chainsaws do everything from felling trees, chopping firewood and cleaning up after storms. To handle a crisis, the higher end bar length is ideal. After deciding on what you want your chainsaw to do for you, it is now time to settle between the engine capacity and bar length. There is a common notion that the longer the bar of the chain, then the more powerful the saw is. Well, it’s true sometimes, but not all of the time. 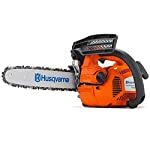 If you noticed from the 10 reviews of the best Husqvarna chainsaws, you must have realized that this is not usually the case. There are chainsaws with bigger engines, but shorter bar lengths. 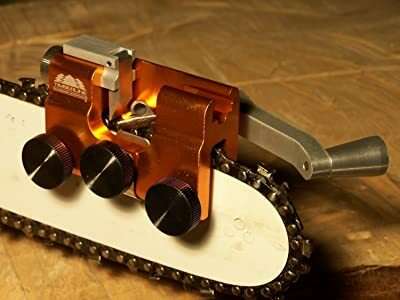 The engine displacement (indicated by cubic centimeters cc) is what distinguishes a chainsaw meant for a professional-grade wood logging tool, or a DIY homeowner. If all you need is more power, then consider higher cc. But if you go for a longer chainsaw bar, then be sure you can handle the increased difficulty of control. 3. Gas Powered or Electric? 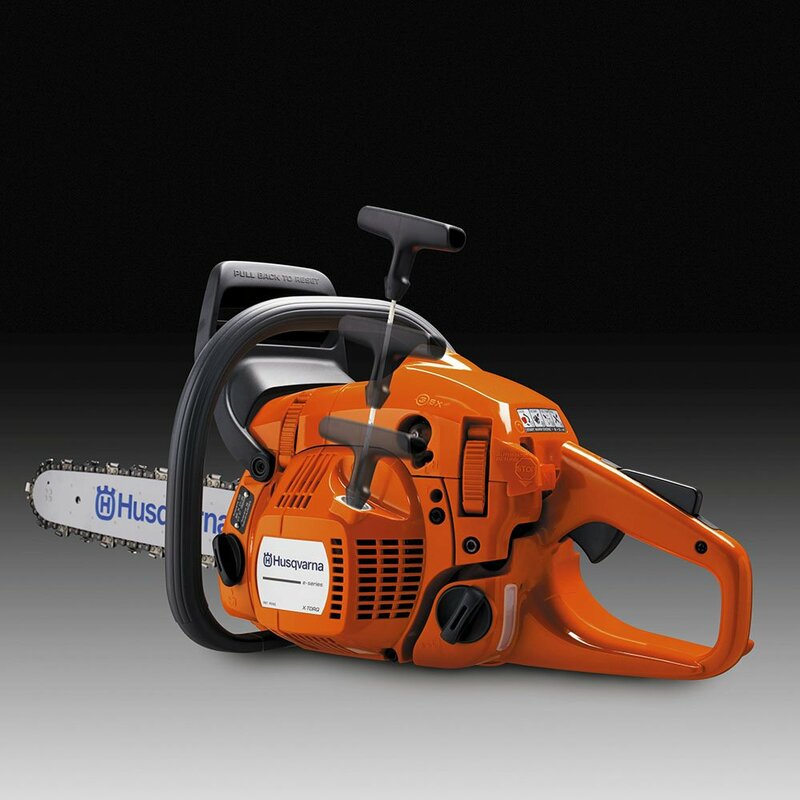 Husqvarna chainsaws can be powered in two ways: by gas and electricity. The latter category can be expanded into corded and cordless chainsaws. When it comes to deciding between these categories, consider the level of power you need, the weight you are comfortable with, and emissions. These are the most powerful, but are the heaviest and produce the most amount of noise. If sheer raw power is all you need, then these would be the most appropriate. When choosing one, check the bar length and the engine capacity to make sure you get a quality product. Next in popularity are these chainsaws powered by rechargeable Lithium-ion batteries. The battery adds considerable weight to the unit, albeit with an increased mobility. However, they tend to be the least powerful of the three categories. On a positive note, they run quite, have an instant starting and have lesser vibrations than gas-powered options. For those looking for an environment-friendly tool, then these could be an option. Consider the battery voltage rating. More volts mean more chainsaw power. Another lesser popular category is the corded types. Few of these are in existence for those who need increased power at a reduced weight. In fact, they are more powerful than battery-powered ones, but less than the gas-powered options. However, you will have to contend with the limited range of the power cord, and the dependence on the availability of power. For these, consider the amperage rating, denoted as “Amps”. A higher Amps rating delivers more motor power. 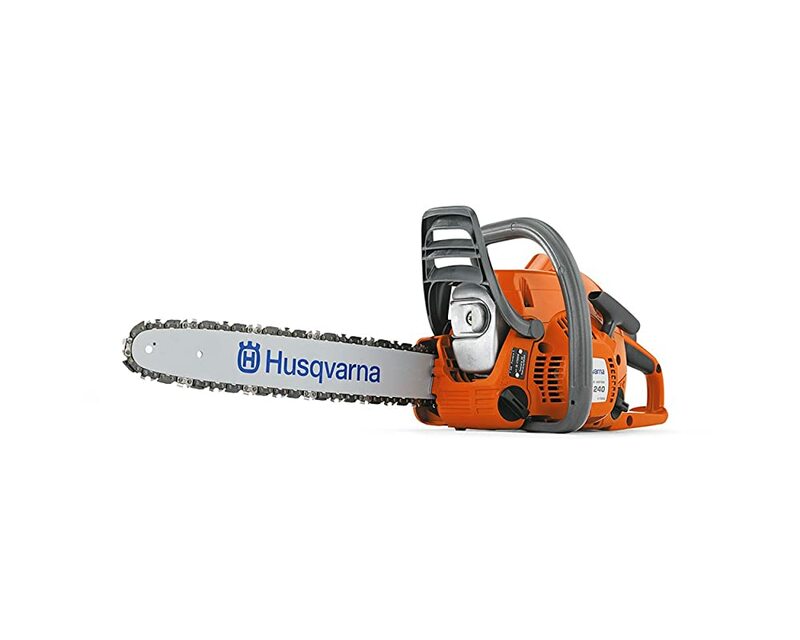 Husqvarna chainsaws are some of the most powerful chainsaws around. You have to be competent enough to operate one before making your purchase. Risk of injury becomes too high if the tool is not used correctly as evidences of injuries show that. It is, therefore, essential that the tool you are buying guarantees your safety to some extent in cases of mishaps. Most of the Husqvarna chainsaws are fitted with high-end safety features, but you have to double check for surety. Look for anti-kickback chain, chain catcher, emergency stop button, anti-vibration mechanisms, throttle lock, and chain brake. Otherwise, the handle should provide sufficient grip for safety. Also, ensure you wear personal protective equipment at any time you use a Husqvarna chainsaw. Regular maintenance makes a huge difference to the longevity of your Husqvarna. Before you buy one, be sure that you will be able to maintain the chain tensions, clean the air filters, replace the air plug, lubricate the parts, and sharpen the chain among other things. All these will take a lot of effort from you. If you are the type of person who throws the chain into the garage and waits for the next time trees become a nuisance, then what you need is an easy to maintain tool. A good option would be a battery-powered Husqvarna chainsaw, but not a gas powered one. Of course, it is always cost-saving to do the maintenance yourself. But if you don’t mind incurring the extra operation cost, then you can take it to a professional to get the job done. Your ability to operate, keep under control and deal with your Husqvarna boils down to how heavy it is. Another determinant is your level of physical strength to handle any amount of weight. Not all people will handle a 17 pounds chainsaw in the same way as a 12-pounds chainsaw. Whether you like it or not, your Husky becomes a large extension of you as you work. So, make sure you go for a weight that you can handle based on your physicality. When we talk of environmental concerns, we are not referring to cutting down of trees obviously. Rather, it is the impact of the chainsaws you are using on the environment and those surrounding you. Does it make too much noise, or does it generate excess carbon fumes? 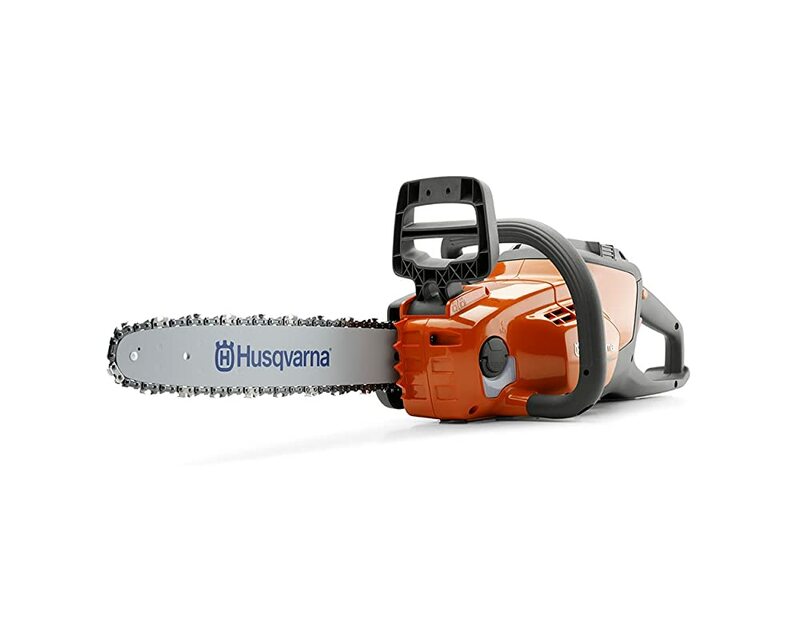 Husqvarna chainsaws are created with the intention of minimizing these impacts as much as possible. That is why some models have the x-Torq engines to make them more fuel efficient. However, some options still don’t meet local regulations such as CARB. First of all, look at the regulations in your area, then check to see if it is certified to be sold there before making a purchase. Then there is the issue of sound to deal with. You might be wearing ear defenders, but remember the neighbors aren’t. If you have ever owned a power tool before, then you would appreciate the essence of a warranty. First, it is what determines the quality of the product. A high-quality one would ordinarily have a longer warranty as proof of manufacturer confidence. 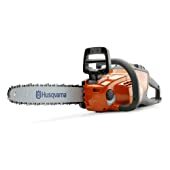 All chainsaws from Husqvarna have a 2-year warranty, which should be great enough for your needs. In addition, Husqvarna provides a provision for an extension of the warranty based on the conditions we had earlier mentioned. Whether you are looking for a professional grade or a consumer-grade Husqvarna chainsaw, you cannot go wrong with any purchase you make. The only challenge is selecting one that suits you from the large Husqvarna catalog. For this, I hope the above buying guide helps. Finally, there is always a debate as to which is the best Husqvarna chainsaw. The truth is that there is no straightforward winner as all these 10 chainsaws are the best in their own ways. Performance is also pegged on what the consumer needs. Therefore, do not worry about which one is the best. What a pro may deem best, may not necessarily work out for a light-duty beginner. When using your chainsaw, desist from the reckless handling of the tool alongside taking safety precautions. Stihl vs Husqvarna Chainsaw – Which One Is Better? Enter your email and click "Subscrible Now"
pickbestchainsaw.com is a participant in the Amazon Services LLC Associates Program, an affiliate advertising program designed to provide a means for sites to earn advertising fees by advertising and linking to Amazon.com. Amazon, the Amazon logo, AmazonSupply, and the AmazonSupply logo are trademarks of Amazon.com, Inc. or its affiliates.